When it comes to Social Media, we've seen it all. Today, you can be part of an online social community by sharing pictures, music, articles, short messages, personal thoughts and writings, interests, videos and so much more. Name something you like, and there's probably an online social community waiting for you to be a part of it and connect with others that share your interests. So, it's pretty hard to find something new and surprising in this area. 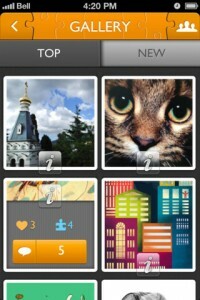 And still, here comes Puxxles, promising a whole new socializing experience. 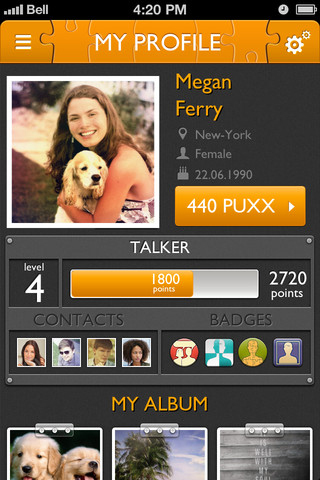 Puxxles is an interactive app that mainly allows you to share encrypted messages with your friends, Facebook buddies or other Puxxlers. 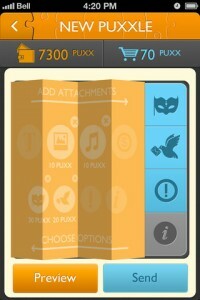 How you encrypt them...well that's what the magic of Puxxlers is all about. You can create your own personalized puzzle or sending a question along with your secret message that only your friend would know how to answer. Pretty cool, right? Once you download Puxxlers from the AppStore, you shouldn't have any problem getting your way around this app, since it's pretty easy to use. Plus, you have all sorts of pointers guiding you. So, what's left for you to do is put Puxxlers to work. 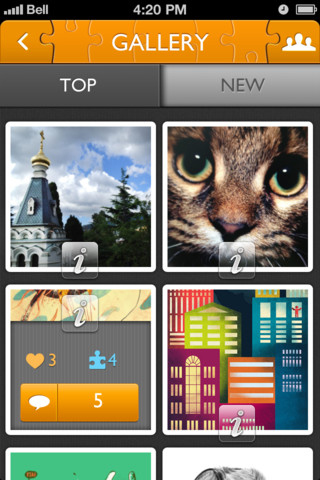 Pick a picture from your Photo Library and add all sorts of effects, if you want the puzzle to be even harder to solve. Or, pick the Q&A encryption option, if you prefer. Then, it's time for step two, which is writing the actual secret message you want to encrypt. You can also attach a visual or audio file to your message, but this will cost you a couple of Puxx. When you're done, just send your message to an Email, SMS recipient or a Puxxler, and that's about it. Now, this is the basic stuff Puxxles does. But there's still more to it. As I've said before, for some extra options you'll need to pay in Puxx. These you can purchase via in-app purchases (150puxx will set you back $1.99), or collect by doing all sorts of stuff like filling out your profile or solving puzzles posted by other users that will also bring you points and cool badges. Because, besides being able to encrypt messages through creating puzzles, you also get to share these puzzles with the Puxxles community. The more attractive your puzzles are to other Puxxlers, the more likes you get. 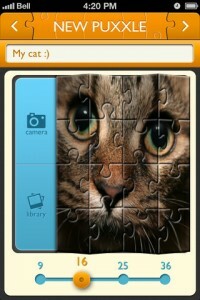 And you can also create entire puzzle albums for you to enjoy, or share with other Puxxlers. Bottom line, I liked the Puxxles experience. And, although it's not pleasant to find out you have to pay for all sorts of options when downloading a free app, being able to collect, as well as purchase Puxx makes the whole experience enjoyable. 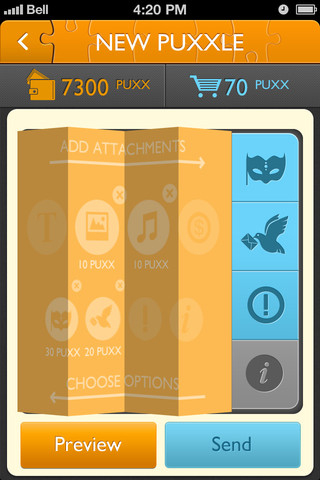 Plus, it turns Puxxles into a fun puzzle solving game and makes it more than just another message encrypting tool. What do you think of PuXXles? Scroll down for our comment section and let us know!